The League of Independent Theater began as an idea sparked by the First Indie Theater Convocation sponsored by Martin Denton and the New York Theatre Experience. 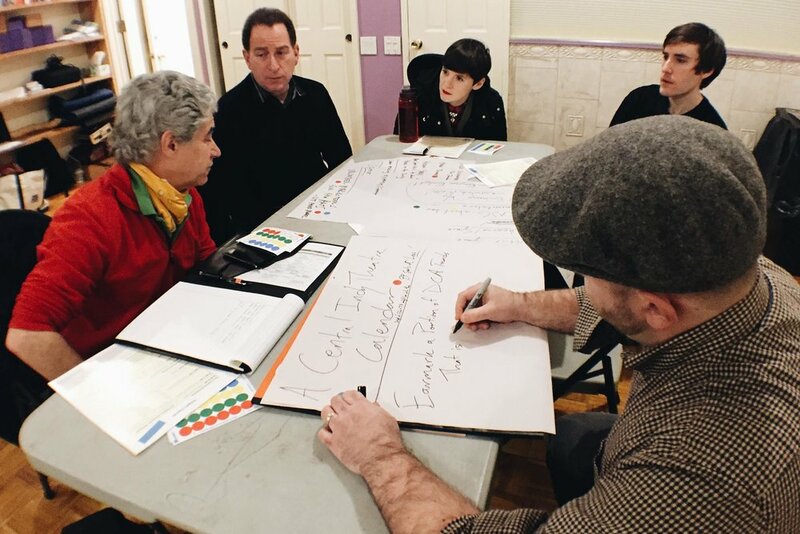 At that meeting, three artist/producers, John Clancy, Paul Bargetto and John Pinkard, who were inspired by the turnout and frustrated by the lack of organization in this sector, agreed to meet to discuss the possibility of forming a League for Off Off Broadway. After initial meetings, a larger group was formed to create a steering committee to create a new organization. This included Shay Gines, Abby Marcus, John Pinkard, Leonard Jacobs, Martin Denton, Paul Bargetto, John Clancy, Erez Ziv, and Robert Honeywell. Under the guidance of this steering committee, The League incorporated as a 501 (c) 6 advocacy organization and began recruiting membership. Today the League is an active participant in the political and social life of the Off Off Broadway sector, meeting regularly with elected officials, service organizations and its member artists.